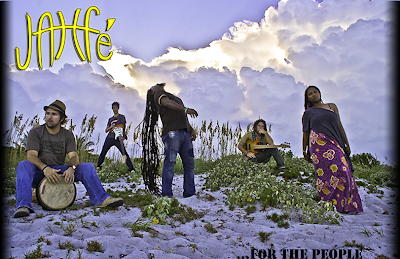 On Friday and Saturday, March 13th and 14th beginning at 10 P.M. Jahfé, one of the hottest roots/reggae groups to come out of Miami in years, will appear at The Green Parrot Bar. Jahfe’s infectious vibe flows from the stage, onto the dance floor and into the crowds whipped up in a frenzy of clapping, shouting and arm waving. The 11-piece band’s reggae rhythms, Haitian pride and messages of universal unity make their concerts look like old-time tent revival meetings. 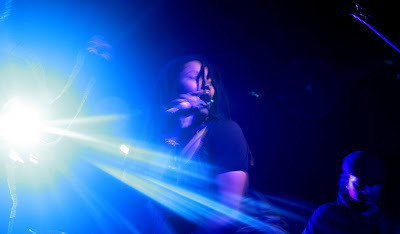 It’s been that way since 2003, when co-founder Esther Fortune formed the reggae-Afro beat roots group with Sasha Sanon. Jahfe, which means creation, brings together Sanon and Fortune’s vision of infusing their Haitian heritage with a lineup that embraces diversity and reflects their Miami home. The pair share lead vocals, joined by lead guitarist Will Mills, drummer Zach Morillo, bassist Hunter Parpentier and rhythm guitarist Faycal Bettioui. Sanon also plays percussion. The six core musicians are often joined by vocalist Danielle Pyton, keyboardist Mick Utley, trumpeter Patrick Converse, saxophonist Jesse McGinty and trombonist Jessen Lalanne. Parpentier is from the Czech Republic. Bettioui is from Morocco. The other members are a mix of Haitian and European backgrounds, Fortune explained. ”We’re from different parts of the world, but we’re all coming together to bring a message of peace and unity,” she said.